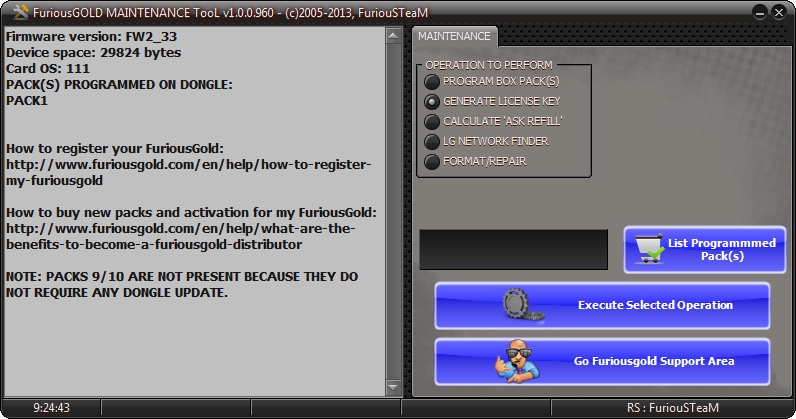 Furious Gold Pack 1 allows you to perform unlimited unlock, flash, repair and other operations with Alcatel, BlackBerry, LG and other mobile phones *. 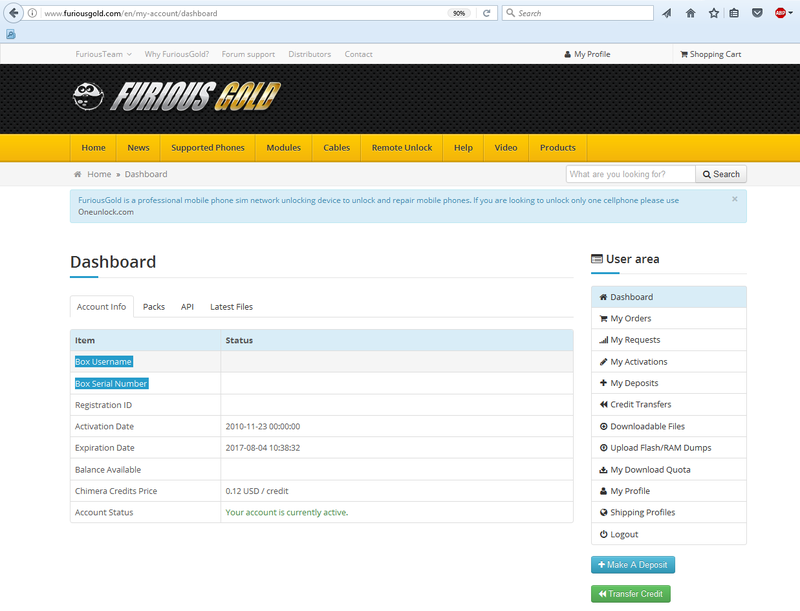 19 USD will be added to the Furious Gold user's account with the purchase of Furious Gold Pack 1. LG T5100, C3300, C3300GO, GT505, GT500, GT370, LGP990, LGC330, LGP970, LGT500, LGA200, LGP990H, LGT505GO, LGP920, LGT500GO, LGP970H, LGT505, LGA230, LGA250, LGP920H, LGA258, LGA225, LGT510, LGT530, LGA235, LGT565B, T375 Cookie Smart, LGT385, LGP925P, GT505e, GT500N, LGP993, LGP970G, LGC330I, LGP925, LGA255, LGT515DW, LGT515, LGT565, LGP929, LGP925G, GT500s, LGP990HN, LGA225GO, T370 Cookie Smart, LGP970N, P990 Optimus 2x, SU760, SU660.